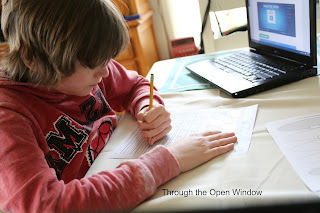 Writing doesn't come easy to kiddos with autism. It's hard enough to get the thoughts from their minds to their mouths and out, much less to their hands and on paper. Mr. B really struggles with writing. He can narrate just fine, but it's getting his thoughts on the paper that causes the problem. He gets so focused on spelling, structure, and style that he loses track of what he wanted to say in the first place. He ultimately forgoes proper sentences and spelling to just get his thoughts out. As a result, I was more than thrilled to be chosen to review Here to Help Learning. What is Here to Help Learning? 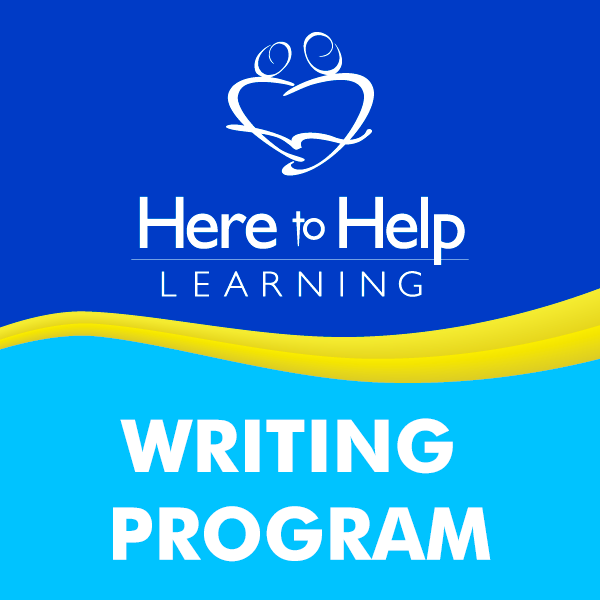 Here to Help Learning is a video based online writing program that breaks down the writing process in a fun and easy to understand way while using Biblical principles and printed worksheets. The program features fun videos that are not your average video based writing program variety. Dressed as different characters, Mrs. Mora, the energetic and fun teacher, works hard to make the learning FUN! Each lesson, or as the program calls it "Flight," begins with a Pre-Flight Checklist. This is a cute little portion of the video that looks like a flight attendant giving pre-flight instructions on an airplane. Here she tells the student what they will need to do before the lesson is to begin. Before each lesson she says, "Attitude is a little thing that can make a BIG difference." It sounds kind of silly or simple, but reinforcing that thought with each lesson leads to a more positive outlook overall! Following the Pre-Flight Checklist is the Flight Check-In. Here comes the need for a pause in the video as you are instructed to turn in the previous lesson work, pass out "discovery tickets" which are rewards for doing the lessons, and get everything situated in the notebook. Mrs. Mora also has the students repeat their memory verse, which is Colossians 3:17. Next comes the Take Off. Here we find the game "Sentence or No Sentence." Mr. B LOVES this! This is where you read phrases and your student must determine if it is a sentence or no sentence. This is also where you get your picture to write about. And the question of the day is here where you have to say if the picture was in the beginning, middle, or end of your story. Mrs. Mora also goes over the writing process here. With the writing process repeated so often, it really sinks in! Full Throttle is when the real writing happens! This is the rough draft start. It's good to be on top of things here to correct mistakes as needed. Flying solo is exactly what you'd think, this is where your student is off writing on their own! For this review, we were given a 1 year Membership access that includes access to all levels of the program. For purposes of this review, we focused on Flight 3 paragraph. I was hoping to work with Flight 1 Essay, too, but Mr. B wasn't advanced enough. Here to Help Learning is a Christian based program that is grounded on Biblical principles. It's is not "preachy," but it does do more than just reference Jesus, the Bible, or verses. For us, this was GREAT! How it works: After you log in, you click on writing, and choose which Flight level you want. From there, the paragraph AND essay lessons are on the same page. Mr. B clicked on the wrong one a couple of times. But it is super easy to go back and choose the correct one. The star indicates the start to the writing project. So Lessons 1-6 go together, 7-11, and so on. Each flight consists of 1 year's worth of writing lessons spread across 32 lessons. Each lesson is intended to take 2 days to complete. So 32 lessons complete in 32 weeks. With each lesson there are worksheets to print, and a notebook to be kept for the duration. Lesson 1 explains all of that, and you'll need a 3 ring binder and page dividers to separate your notebook. Here are some sample page from Flight 1 Essay, lesson 1. I had intended to start Mr. B here which is why I took these screen snips, but he really needed the paragraph lessons. This program is great because you have the freedom of choice. I went ahead and included these screen snips in this review because you'll find the same sort of organizational set up with all of the lessons. I very much appreciate the grading rubric! Here are a few pages from Flight 3 Paragraph, Lesson 1. Here is the memory verse. Here is Sentence or No Sentence. He loves this! One of the silly photos. A zoomed out view of the photo with the word box and lined writing area. It is suggested to use this 2 days a week. 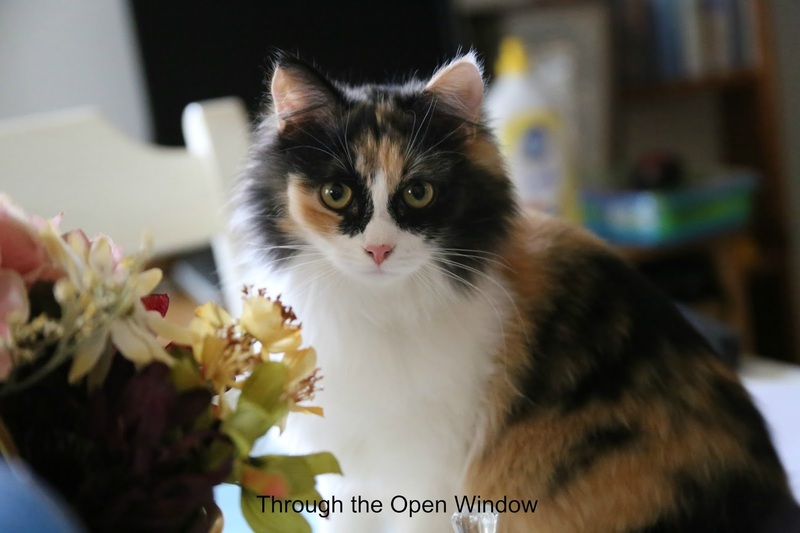 One day to watch the video-which will take approximately 15 minutes or so with breaks to do the activities, and another day to do the writing projects. We attempted 2 days a week, but found we altered this schedule a bit. Some days we did everything in 1 day. Others we split it up over the course of 3 or 4 days. It all depended on what was going on autism-wise at that time. Some days were easier for him to stay on task, so we went with it and didn't stop. 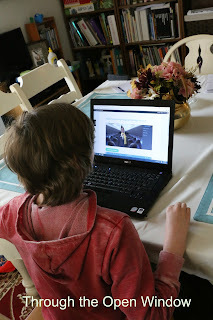 Other days it was more difficult for him to focus on writing, so we watched the video, then waited a day or so and watched it again with the activities, then we may or may not watch it a 3rd time for the actual writing. We adopted this sort of schedule for our brand of special needs only. You may be perfectly fine with the intended 2 day approach, or you may need additional time. Mr. B really enjoyed the silly photos. The writing that goes with them is timed writing. However, I did not time him. I will in the future, but for now I did not want to pressure him in to a time constraint. I will enforce the timed writing when his ability to put words to paper develops a bit more. HAHA Fluffy kitty wanted to join in on the learning fun! We still need to name this little beast....errr...ummm..I mean cutie. Normally, I only print out 1 sheet for writing. But Here to Help Learning has caused him to LOVE writing so much that he actually asked for multiple pages! This story was 2 pages! He has an odd pencil grip. It works for him, so I let it be. At first I wasn't 100% pleased with this, but over the course of the first 2 weeks I began to love it! Mr. B has enjoyed this from the start, and asks to do his writing lessons because he truly enjoys the fun videos and topics. That, to me, is amazing. He doesn't just ask to the lessons, then go on about his day. But rather he thinks about those lessons and he applies what he has learned. One lesson has students write about what they like about a business. He loved this lesson so much, he makes lists of what he likes about his favorite businesses now FOR FUN haha! He WANTS to write now, when before it was a fight to get him to do it. It's not perfect, but we are getting there. I really appreciate the humor and fun aspect that goes along with this writing program. Does Here to Help Learning Pass My 4 Ingredient Test? We customized our schedule a bit. You have access to each lesson from the start, so you can move around as you want. But I suggest working the lessons in order, since the final writing project for each lesson is a culmination of all the lessons in that grouping. It is easy to modify a 2 day a week suggestion. As of the date of this post, the cost is 6.99/month and to me, that is well worth what you get. There are no hidden fees, and you most definitely can use this with multiple age ranges. At 6.99/month, you get access to all 6 levels. This is really great for special needs since you may not know which level will work. some days you may need to go back a level, and some days you can go ahead. Also, if you have multiple kids then this is fantastic. This is NOT boring. The videos are fun and cute, and the writing lessons/topics are fun and engaging. The lessons are quick. Mr. B actually asks to do this, and asks me to take printed worksheets with us in the car when we will be out and about for a while. He loves it. Beth Mora, who teaches and developed this, is a 20 year homeschool veteran. 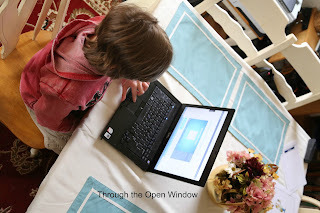 These lessons are well taught and FUN for kids to learn. This really depends on what you are doing, but largely no. These aren't based on history or science, or anything like that really. They are just fun life topics that work great to teach the writing lesson at that time. The Schoolhouse Review crew reviewed various levels and even some physical product sets from Here to Help Learning. Please click the banner below to read those reviews as well!